Amitabh Kant is presently CEO of National Institution for Transforming India (NITI). He is a member of the Indian Administrative Service, IAS (Kerala Cadre: 1980 batch). He is the author of Branding India-An Incredible Story. Kant has been a key driver of the “Make in India”, Startup India, “Incredible India” and God’s Own Country” initiatives that positioned India and Kerala State as leading manufacturing and tourism destinations. These campaigns have won several international awards and embraced a host of activities – infrastructure development, product enhancement, private-public partnership and positioning and branding based on extensive market research. Amitabh Kant was also the National Project Director of the Rural Tourism Project of UNDP which made a paradigm shift in spreading tourism to Indian villages which had core-competency in handicrafts, handloom and culture. 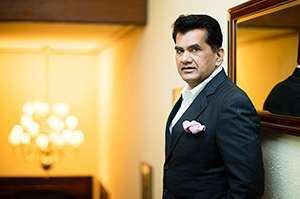 Amitabh Kant has worked as CMD – ITDC, Joint Secretary – Ministry of Tourism, Government of India, Secretary – Tourism, Government of Kerala, Managing Director, Kerala State Industrial Development Corporation, District Collector, Kozikhode and Managing Director, Matsyafed. During his tenure in Kerala he structured the Calicut Airport as a private sector project based on User’s Free and developed the BSES Power Project and Mattanchery Bridge under Private Public Partnership.